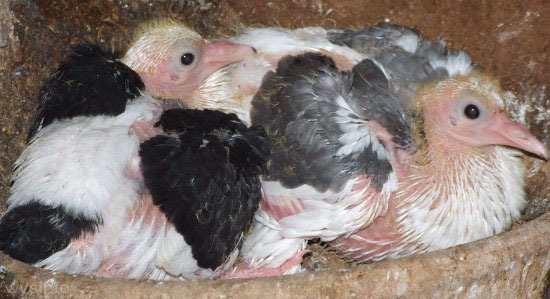 Pigeons have been cultivated for thousands of years, for many different reasons. Records from ancient Persia, Egypt, Israel, Greece, China and many other locations in the Middle East and Asia prove that pigeons were cultivated for food, for use in religious ceremonies, sports and, of particular importance in history, as messengers. It is interesting that this common little bird, so familiar to all of us, has represented some of the most noble and positive symbols, in almost every culture around the world. 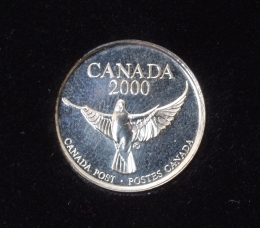 The dove has been associated with motherhood and femininity. For example, the Sumerian mother-goddess Ishtar is often portrayed as holding a pigeon. 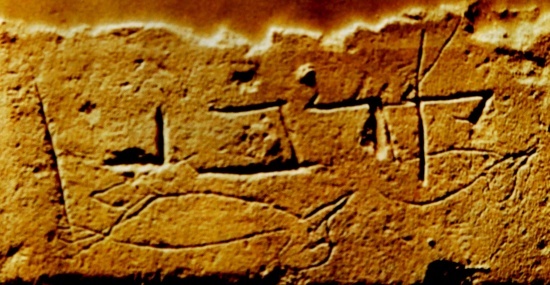 The ancient Phoenicians associated Astarte, the goddess of love and fertility, with the dove. The Greek goddess Aphrodite and the Roman goddess Venus were both symbolically represented by doves. In China, the dove historically symbolized fidelity and longevity. There were superstitions in medieval Europe that claimed that devils and witches could turn themselves into birds, but not into doves – suggesting the purity of the dove. 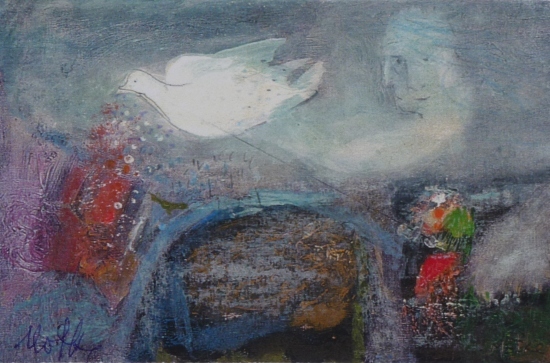 Judaism refers to the dove as a messenger of hope and peace (the story of Noah) and you find the dove used as allegory in King Solomon’s Song of Songs about love and beauty. 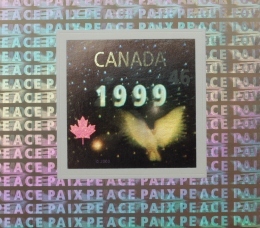 In Christianity, the dove is seen as a symbol of the Holy Ghost at Christ’s Baptism, (Matt. 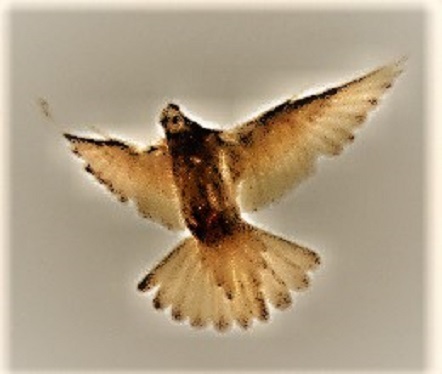 3: 16-17: “…and the Holy Ghost descended in a bodily shape like a dove upon Him”). 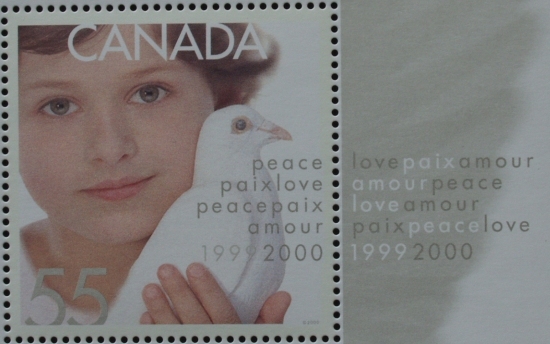 Today we find the dove used frequently in secular literature and art as a symbol of love, fidelity, devotion and peace. What is it about this bird that has made it worthy of association with such lofty concepts? 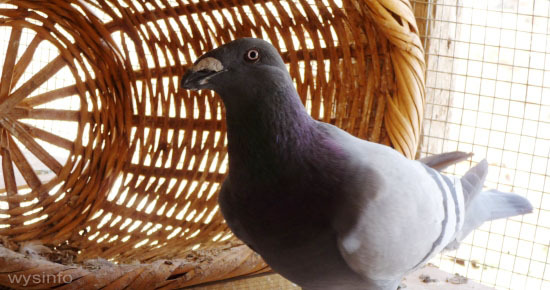 The story of Noah in the Bible describes one of the earliest uses of the pigeon as a messenger. Noah sent the pigeon from the ark to see if the deluge was over. It was sent a few times before it came back with a branch of an olive tree in its beak, which proved to Noah that the waters had begun to subside. There are even earlier writings, such as the Sumerian ‘Epic of Gilgamesh’, that also include a story about a great flood and how a pigeon played the role of a messenger. Tablets, found in Mesopotamia (areas around Iraq and Iran of today), as well as Egyptian hieroglyphics, suggest that pigeons were being domesticated by both civilizations already around 3000 BCE. Eventually, in time, they learned how to use their homing instincts for communication purposes. For example the Egyptians would release pigeons in order to announce, to the people, the rise of a new pharaoh. There are records that indicate that Phoenician merchants used to take pigeons on their ships during their business trips in the Mediterranean and would let them go whenever they needed to release information about their business tours. The Greeks used carrier pigeons to release the results of the Olympic games and to send messages about victories in their battle fields. Frontinus, the Roman writer, tells about the use of carrier pigeons by Julius Caesar. 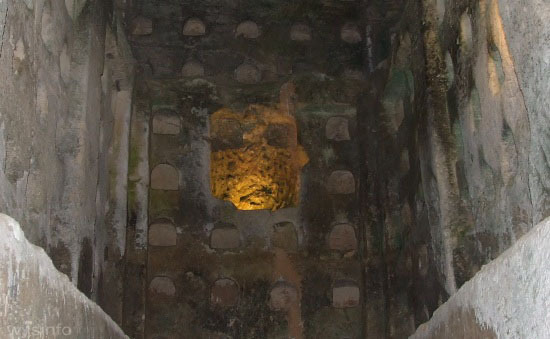 There are documents about the existence of columbarium in Rome that contained over 5000 pigeons. Conquerors throughout history, such as Hannibal and Genghis Khan, also used pigeon-post as a communication network. The added value for using pigeons as message carriers in the ancient world was quite significant. When compared to other means of long distance communication in ancient times, such as smoke, drums and human messengers, pigeon carriers provided a more private and discrete way of transferring messages. Between the end of the 12th century to the mid 13th century CE, the use of carrier pigeons reached its peak. Marco Polo in his writings mentions, in admiration, the extensive use of carrier pigeons in the east. The use of carrier pigeons was so well known in the 1800s that many people believed it was the carrier pigeon, in 1815, that brought the message of Napoleon’s defeat in the battle of Waterloo to Nathan Rothschild, 3 days before Wellington’s human messenger. This has been disputed by a Rothschild family biographer. A few years later, however, pigeons were used by the young Reuters Agency to communicate stock exchange information between Germany and Belgium. During 1870-71 during the war between Prussia and France, messages were sent from and to seized Paris. This was the only way of communication between the city to the neighboring towns. In the 1st World War a portable pigeon home was created in order to accompany the soldiers to the front. This enabled them to send messages almost instantly. It is known that the French espionage service used carrier pigeons to send messages to and from their agents behind the lines. One of the most famous carrier pigeons of the 1st World War was “Cher Ami” that saved around 200 American soldiers. Despite injuries inflicted by the German army, this little pigeon managed to get its message to the Allies in time to save the soldiers and the pigeon quickly became a symbol of heroism. Today its stuffed body can be seen in the Smithsonian Institute in United States. There was also an extensive use of pigeons in World War 2, and decorations for valor were awarded to 32 of them, including two famous pigeons – GI Joe and the Irish Paddy. During the British Mandate over Palestine, carrier pigeons were used by the Jewish organizations. In 1948 during the war of independence, carrier pigeons were used by the Israeli army to send and receive messages from the seized city of Jerusalem when other means of communications failed. The development of technology and new means of communications have resulted in a reduction in use of carrier pigeons, but their place in history is recognized, well appreciated and remembered. The great demand for pigeons resulted in a lucrative occupation for those who bred and sold the pigeons. The habit of sacrificing was a common practice in the ancient world. At that time human sacrifice was experienced in central America, some tribes in Africa and some ancient tribes in Europe like the Germans and Kelts. In ancient Greece human sacrifice was a practice in order to appease the gods. Also in Egypt and Mesopotamia this was a practice in times of crisis. For example, Meisha, King of Moav, sacrificed his son (Kings 2,3,27). Jephthah the Gileadite, to fulfill his pledge to God, sacrificed his daughter (Judges 11,31). The story goes that Jephthah pledged that, if he succeeded in his battle against his enemies, he would sacrifice the first to come out of his home to receive him….this turned out to be his only child – his daughter. The Bible condemned human sacrifice and called for a substitute, as clearly indicated in the story of Abraham and Isaac. According to the Biblical laws of sacrifices (in particular Leviticus (Vaikra) 1-16), it is imperative that sacrifice should only be of small cattle, goats and sheep or of a pure fowl\bird. Pigeons fit this last category. Plus which, they had an advantage over the other options because they were easy to breed. Therefore they fulfilled at least two basic needs: they served as a source of food and as an object acceptable for sacrifice. As a result a flourishing industry developed for cultivating pigeons. In the beginning they were bred in small dove cotes, and with time they were cultivated in larger structures called columbarium. 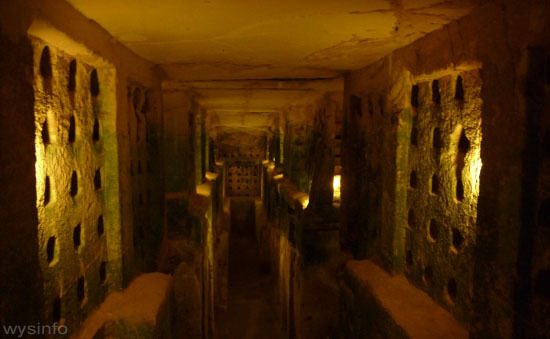 Hundreds of ancient columbaria have been found in Israel, a few dozens of them in and around the city of Jerusalem. Most of them were built in man-made caves. The others were built above the ground in the form of towers. These were found in the City of David, Jericho, Masada, Herodium and in other cities in Israel, dating back to the Hellenistic and early Roman periods. Most of those that were built above the ground did not survive. Some that were created under the ground remained in good shape. A number of them, found close to Beit Govrin, south-west of Jerusalem, are shown in the pictures in this page. The relative softness of the limestone that exists in the foot hills of Jerusalem helped to create the underground structures. 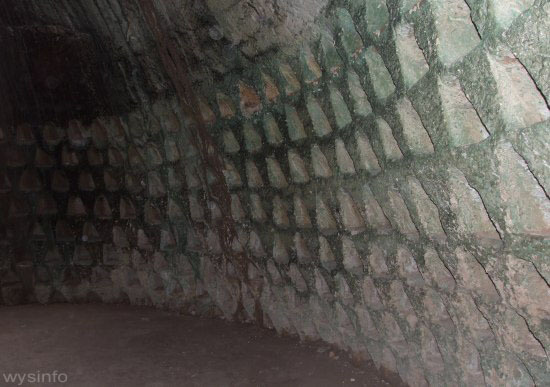 These were created in round shapes, square shapes and/or complexes that included several rooms and halls with connections among them. In the walls of these rooms, hundreds of niches were dug, each big enough to allow a mother pigeon to lay 2 eggs and to grow her baby squabs. These complexes contained sometimes thousand of pigeons. Their droppings were used to fertilize the agricultural land around – thereby introducing an additional benefit to the industry. Columbarium can also be found in many places around the world: England, Scotland, Wales, France, central Europe, Italy etc. It is possible that the Romans introduced the practice into the conquered areas. In medieval times, raising pigeons was often considered the right of nobility and, as a result, you can find dovecotes that are still standing beside their castles. In France a dovecote (colombier) was usually built out of rocks or from brick or cob. You can find dovecotes in France that could accommodate over 2,000 pigeons. 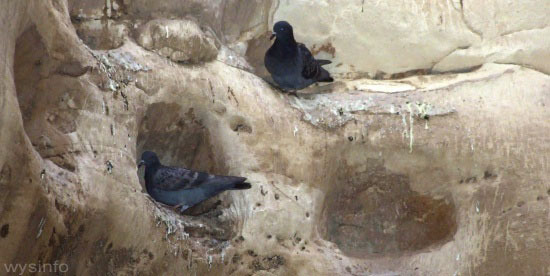 The pigeons were encouraged to breed in clay basins or sometimes braided wicker baskets. 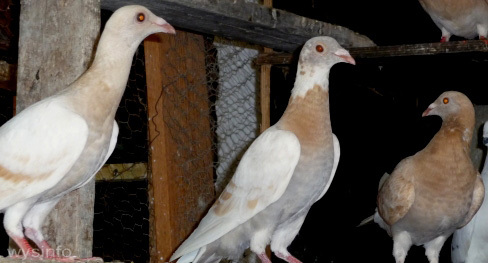 The breeding of pigeons quickly became a pastime that resulted in unusual varieties of fancy pigeons that were (and still are) cultivated for showcasing, sports etc. 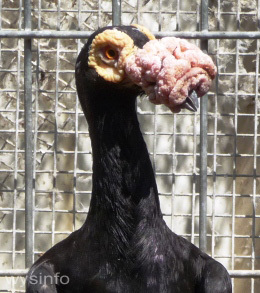 At the same time, a loss of control in this breeding process resulted in the widespread propagation of cultivated pigeons -turned wild – around cities and towns ….so much so that the descendants are now enough of a nuisance to warrant the emergence of an industry dedicated to get rid of them. Photo from Biblical Archaeology Review, May/June 2009 – “This Place is for the Birds”, Author: Boaz Zissu. The Biblical Archaeology Society. Photo by Erich Lessing, from Biblical Archaeology Review, May/June 2009 – “This Place is for the Birds”, Author: Boaz Zissu. The Biblical Archaeology Society.